Table of Contents Next: Kenney, George C.
Dimensions 492' by 69'6" by 23'2"
The Kenneth Whitings were completed in 1944. 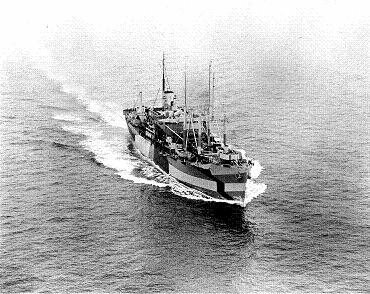 They were Maritime Commission C3-Cargo hulls converted to seaplane tenders. As such, they lacked the large superstructure hangars of previous purpose-build seaplane tenders, but these were of little use for servicing the large flying boats that had come to dominate the naval seaplane service.